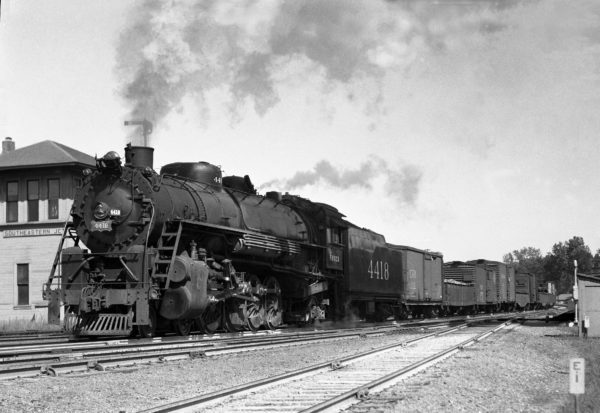 Frisco-built 4-8-2 4418 with Train #37 at Southeastern Junction in June 1943 (William K. Barham). 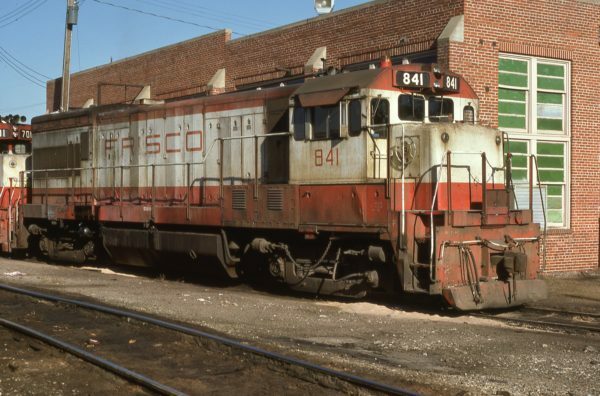 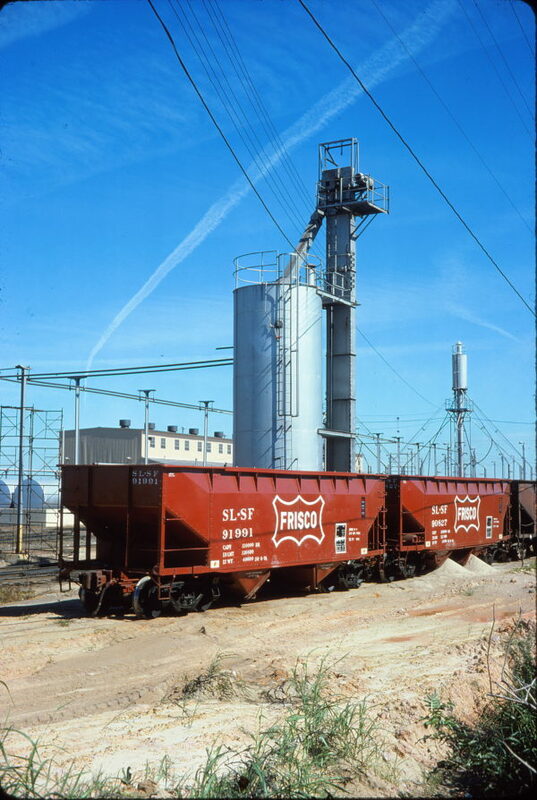 U30B 841 at Fort Smith, Arkansas on October 14, 1977 (Paul Strang). Hoppers 91991 and 90827 at Memphis, Tennessee on September 22, 1974 (William White).